It would be pretty remarkable if you weren’t somehow affected by the Queensland floods in 2011, the Great Ocean Road Christmas bushfires in 2015, or even the heatwaves leading up to Black Saturday in 2009 that killed 173 people in Victoria. But have you ever taken a step back to think about what’s really going on with the weather in times like this? We don’t have bushfires and floods all the time, so something was obviously happening to cause such a drastic change in weather. These two children are responsible for changes in our weather patterns every two to seven years. They make tweaks in the Pacific Ocean temperatures, wind and clouds that have enormous effects on the rest of us. In the neutral phase, the winds are blowing from east to west across the Pacific Ocean. But when visits, about once every two to seven years, she hitches a ride with those trade winds, and makes the winds blow stronger from the Americas to Australia, across the Pacific Ocean. What does this do? Does it make the weather windier in Australia because of this? No, not quite. The wind glides above the ocean and takes some of the surface water with it, on a journey to Australia. Being on top of the ocean, this surface water is warm, because it’s been heated by the sun. That means that we start to see warmer than usual waters in our oceans around Australia and Indonesia. That sounds pretty good to the everyday Australian, warmer waters on the beach wouldn’t go astray. But Niña is playing more tricks on us than that. Warmer waters bring more evaporation, which leads to more condensation, which leads to (you guessed it), more clouds and rain. And just like that, you can thank Niña for floods and more tropical cyclones during this part of the ENSO cycle. What about when Niño visits? He’s the opposite. Niño arrives when the winds from the Americas weaken from east to west which means warm water begins to gather in the Americas and doesn’t make it to Australia. Warm surface water that is normally being pushed across to the west (Australia’s east coast), is now staying in the east side of the Pacific Ocean. Suddenly the Americas have warm water, and Australia and Indonesia are both left with cold water in the surrounding oceans. What happens when cool water surrounds Australia and Indonesia? Cooler water around Australia and Indonesia, means there is less evaporation, less condensation and less rain. This means an increased risk of droughts, heatwaves and bushfires in north eastern Australia. What about North and South America? 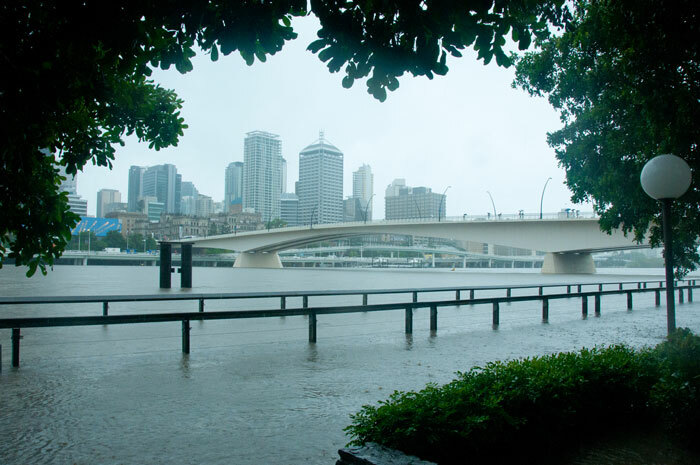 El Niño causes the opposite – floods and more cloudy days. Niño has been responsible for the weakest and least active tropical cyclone season on record, prolonged heatwaves across Australia during autumn 2016, and the worst coral bleaching even on record for the Great Barrier Reef. You may have also heard of Ash Wednesday in 1983? That occurred during El Niño too. No two El Niño or La Niña events are exactly the same, and these climatic changes (i.e. drought, or floods) may sometimes even happen without El Niño and La Niña. Did a flood recently happen near you? Does that mean that La Niña just hit? No. Sometimes these events just happen on their own in the neutral phase, without a La Niña or El Niño phase occurring. Take Black Saturday in 2009 for example; this happened at the end of a La Niña phase. A better way to measure whether you’re in an El Niño or La Niña phase is to go onto the Bureau of Meteorology (BOM) and check out their ENSO alerts every two weeks. By understanding ENSO, you can better understand the climate in Australia, and different trends that are happening around the world. Believe it or not, we’ve only scratched the surface of ocean science. If you want to know more, we’ve recently written a book about oceans and some solutions for Australia too. It just so happens that we've written an entire book on oceans. Sorry CSIRO but that is etymologically incorrect. El Niño was so named by the early Spanish colonialists in the Americas for a weather phenomenon that occurred at Christmas that brough much needed rain. It is so-named after the Christ Child who in Spanish is called El Niño. As the Christ didn’t have a divine sister, there can’t be La Niña, etymologically speaking. This is another case of rewriting history. The two 2011 Qld floods resulted from two lots of undersea volcanic activity on the converging tectonic plate boundary running along the western side of Vanuatu. They each took about 2 weeks before the rain hit northern Qld, first, then the counter-clockwise current taking the warmed water South down the coast. It takes the current about 2 weeks to reach Qld. The volcanic discharge – lava – contains both heat and minerals. 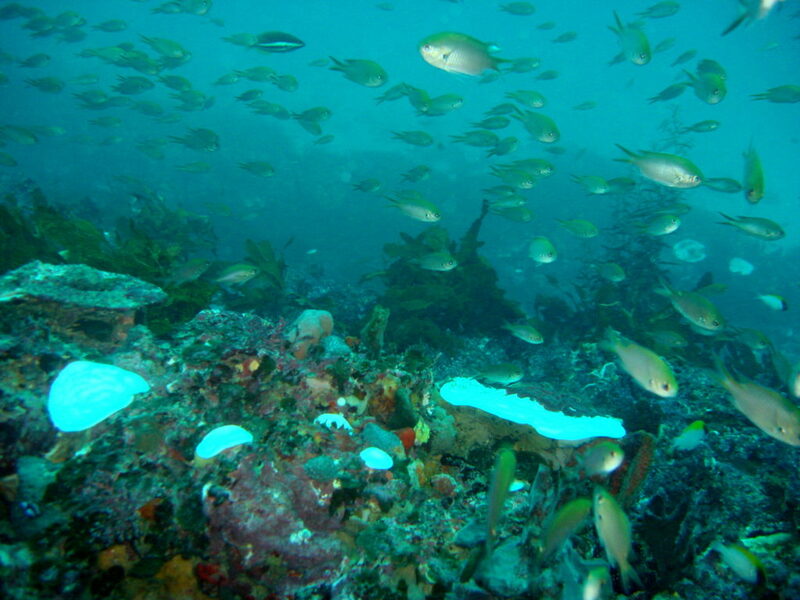 The minerals interact with sea water to produce H2S; this kills, ie bleaches, corals. The mineral-rich seawater has a high density so that although it is hotter than the surrounding warm sea-water, it is still denser, and so, does not reach the surface immediately, but has to when it reaches the shallow Reef. The third severe storm, Cyclone Yasi resulted from undersea lava discharge from the diverging boundary north-west of Fiji 28Jan11. This was warm enough to reach the surface, feeding into a normal tropical storm that was in the area, and a Category 3 cyclone formed there immediately, travelling quickly by wind to hit Qld.